The summer trimester of Refugee Kids Club was full of fun activities and a great turnout of kids. Before the trimester began I worked on how I could invite kids. I went to different churches, stores, and some kids’ houses to give them invitations. I also posted on Facebook and shared with many people from the community. After that, I worked on what I could do to make kids want to come and enjoy their time being here. I thought of fun activities and trying new things because I wanted the kids to have fun while they were out of school and also to learn a lesson from the Bible. In the beginning, I was kind of nervous trying new things because I was worried that they might not work. But having an amazing leader like Megan McDermott makes everything easier for me because she is always there to help. Megan supported my ideas and she helped me to improve them. So each week I planned to do a different activity like playing games outside and another week, learning from the Bible. 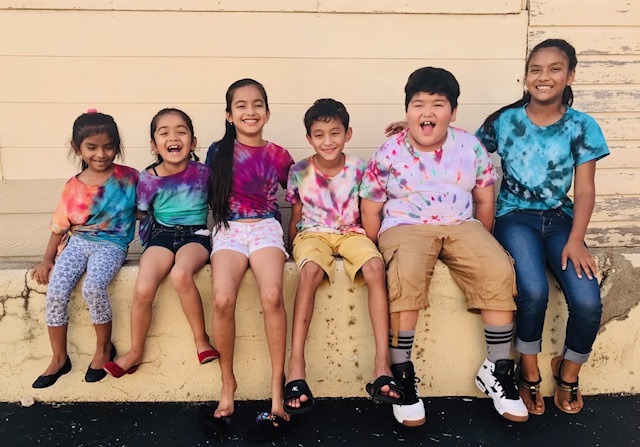 The activities we did included tie-dye, water balloons, outdoor games and movie night. I could see the kids having fun and enjoying everything we were doing. Some of the kids even invited their friends. It was cool to see kids inviting their friends and bringing them along. Every week we had a kid there for the first time. The average attendance was 18 kids: the highest we’ve had in the history of Refugee Kids Club. It was amazing for me because we used to have only a few kids and the big group of volunteers. In the summer I had seven volunteers, the perfect number for me. Each of them helped to me lead the activities and teach the lesson. It was very helpful and everyone was committed to come. Three of them returned to volunteering with us this fall, and a lot of kids that came during the summertime also came back. We started our fall trimester about two weeks ago and it is going great.